Are Adventure Sports Taken Seriously Enough? Up until 1998, snowboarding wasn’t an Olympic sport. It seems incredible when you think about it: true, the sport has a relatively short history when compared to other winter events (skiing especially), but it’s so fully integrated into the Adventure Sports repertoire that its absence from the Winter games of the 80s and most of the 90s now seems bizarre. Snowboarding no longer seems like the upstart sport it then was. Even despite the controversy at the very first Olympics over Giant Slalom Gold Medalist Ross Rebagliati’s marijuana usage, the sport has rehabilitated its image. Not that the snowboarding culture isn’t ‘cool’ anymore, but it’s certainly a serious competition sport in the eyes of the general public, whereas people may once have dismissed it as a phase or fad. The Olympics can do a great deal of good for its host nations, but it can do wonders for the appreciation of the sports it features. When you have people being paid, facilities being built and people of all ages inspired by the sport when televised. 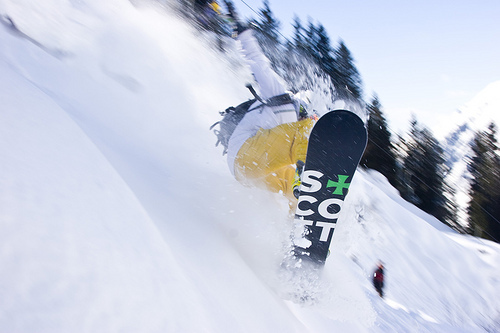 Which is all great for snowboarding, but what of all the other adventure sports out there? The list of non-Olympic adventure sports is lengthy, perhaps only as it should be. Not every sport can or should be an Olympic sport: it’s not a case of picking the most daring, or even exciting sports, but of creating a competition with a good balance of showcase achievements and international accessibility. But the selection process for new sports is lengthy, and there are candidate sports that surely deserve Olympic recognition. In 2005, the International Olympic Committee ejected baseball and softball from the Olympic repertoire (having effect from 2012 onwards). There was allegedly a feeling that too few countries were interested in the sports (Baseball was dominated by Cuba, Softball by the United States), though some have felt the IOC leans a little too far towards European preferences. Regardless, this frees up spaces for two more sports in the Olympics. Or so you’d think. In order to get your sport considered for Olympic inclusion, you usually have to start campaigning about 9 years ahead. The list of included sports is decided 7 years before the event – currently, various international sporting bodies are attempting to gain inclusion for the 2020 Olympics. Not among them: surfing. Surfing was cut from a shortlist of 12 in August. 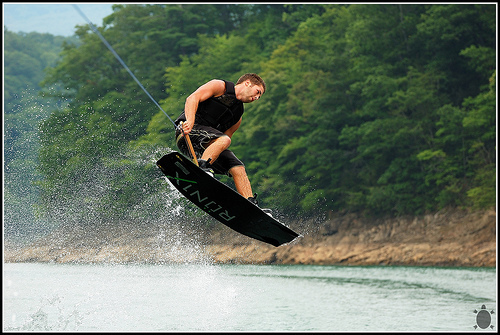 On the list are wakeboarding and sport climbing, as well as a number of more predictable non-adventure sports, inclusions that should be welcomed. But surfing still remains the wallflower of sport, a pursuit that was invented hundreds, possibly even thousands of years ago, that still has no Olympic recognition. 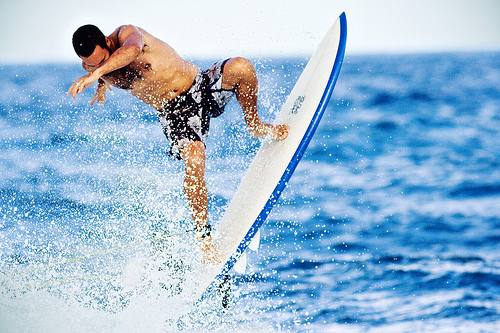 Why does surfing have such poor representation? One would hope it isn’t because of its ‘trendy’ image: though there are undoubtedly those who are prejudiced against the ‘seriousness’ of the sport, the fact that serious competition has a long and productive history is difficult to ignore. Instead, the question of accessibility seems to be the main stumbling block. If the sport is to be included in future Olympiads, can competition be guaranteed at every host nation? The answer to that is ‘probably not’. Even if surfing does a good job of appealing across international boundaries, not every nation has naturally occurring and competition suitable coastline. Even in nations with the right waves on offer, surfing competitions can end up being postponed when weather simply isn’t ideal. However, the possibility of guaranteed waves from artificial in-land lakes (such as the UK’s upcoming Wavegarden) could finally remove this excuse. Steph Wood loves watching adventure sports and feels they deserve more coverage. They write for Surfdome UK Snowboard Clothing, who also sell the North Face clothing. This entry was posted in Snowboarding, Surfing, Water Sports, Winter Sports and tagged Adventure Sports, Olympics, Snowboarding, Surfing. Bookmark the permalink.